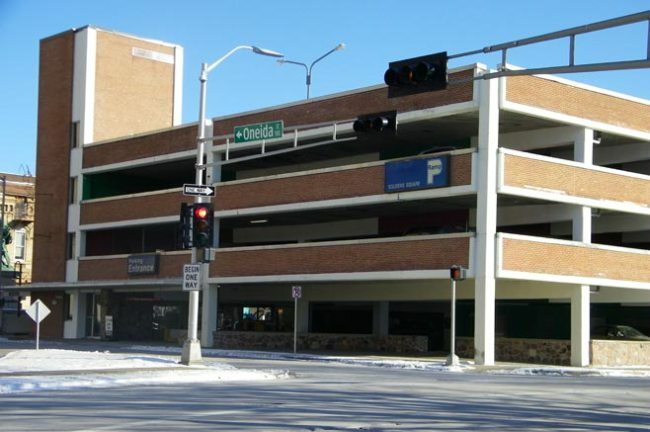 Posted on Feb 6, 2015 by Appleton Downtown Inc.
A parking study conducted by Walker Parking Consultants suggests a series of improvements in parking services downtown, including a replacement mixed-use parking ramp to meet future parking demands. “The Downtown Parking Study Report is a planning tool that will guide us through decisions related to the policies and practices of our public parking system,” said Public Works Director Paula Vandehey. The study covered a 56-block area of downtown and includes four different planning scenarios for the future. The report also contains 15 recommendations for parking improvements to enhance the overall delivery of parking services to the downtown community. Reduced on-street enforcement hours from 9 a.m. to 6 p.m. instead of 9 a.m. to 9 p.m.